These maternity pants from Mumberry are so freaking awesome. And pregnant women everywhere will totally love them. The fabric is so soft, stretchy and comfortable. EXACTLY what you want in maternity exercise pants. They are very well crafted and durable. And, they are made in the USA (yay!! quality right there! ), unlike many other exercise pants. They Definitely a flattering cut on the pants, which will make every pregnant mama feel like a hot mama! Sure, you could just use these for exercising (they have a super comfy support for your belly, wow!)... but with how comfortable they are, I definitely think they'll be in the everyday wear rotation, too. They come in heather gray and black. You have to feel the material to appreciate how amazing they are. The fabric is buttery soft and the belly support band has a patent pending! That is how fantastic they are, providing support and comfort. The Mumband is so much more than just a maternity support belt. It is built right in to all the Mumberry maternity activewear, and supports your belly with gentle compression and upward lift, allowing you to do more during your pregnancy. The pocket is large enough for your small essentials, even a larger smart phone. The fabric is moisture-wicking so you will feel cool and comfortable while wearing them. The super stretchy fabric and chafe resistant seams provide ultimate comfort and freedom of movement. Mumberry maternity fitness clothes are made of the highest quality materials available and are designed to grow with you throughout your pregnancy. 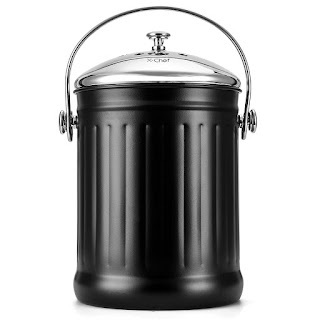 This countertop compost bin is great for many purposes. If you are looking to reduce waste, make compost for your garden, or just keep scraps together to feed to the chickens, then this is something you want to look into! It has a sleek design, made out of stainless steel and actually looks nice in your kitchen. You can use it for vegetable peels, apple cores, egg shells, potato peels, coffee grinds, tea leaves and more. Just don't put meat in it! If you want, you can put it on your countertop or under your sink. It is a little bigger than a milk jug so that gives you an estimated idea of the size. 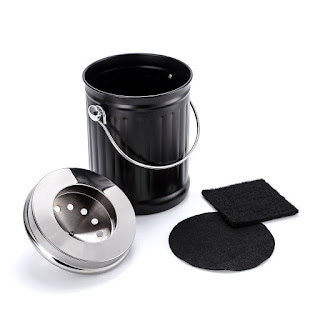 It comes with filters that you keep in the lid, so the odor doesn't escape. 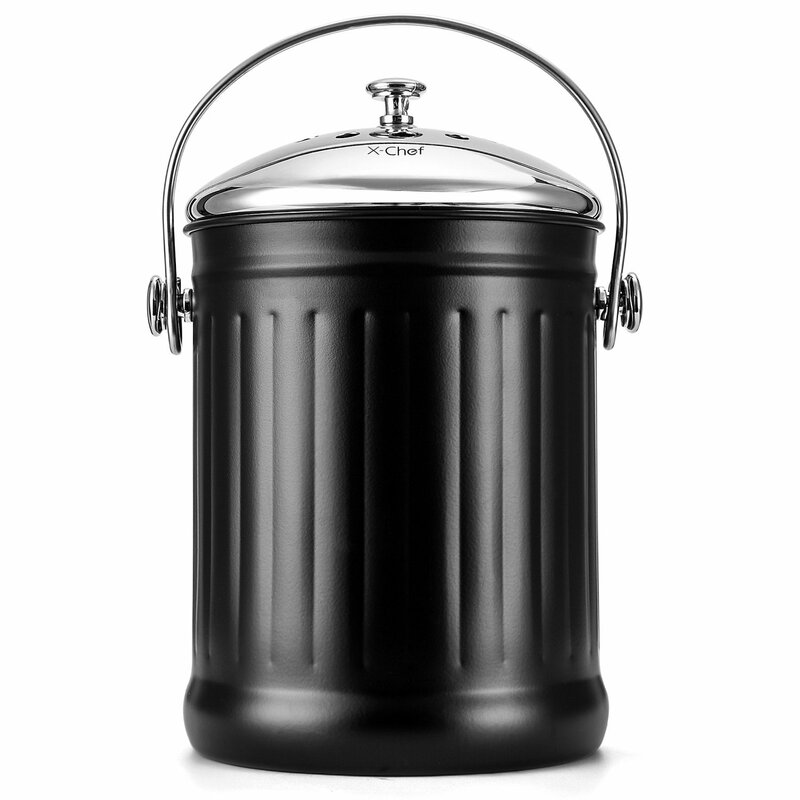 The filter is activated carbon and it is really good at absorbing any unpleasant odors during the composting process. We are avid gardeners -- both in pots and in the ground, and compost is our best friend. It enriches the soil and adds nutrients to the soil so that the plants can grow stronger, bigger, and healthier. You do want more tomatoes, right? So do I! This green earth ceramic frying pan is non stick and non toxic as well! This particular one is 10" in diameter and it uses GREBLON, which is an ultra-safe ceramic coating made in Germany, and it is 100% PTFE and PFOA free. Way better than Teflon! This is a great pan because it features a scratch-resistant ceramic coating that is super easy to clean. The pan itself is made out of durable heavy-gauge die-cast aluminum with no heavy metals or harmful chemicals in it. (I thought aluminum was a heavy metal, but this is what the manufacturer says, I am hoping they know what they are talking about). It is heavy duty and really has substance to it. It is not lightweight, but with the heat resistant silicon coated handle, you can cook with it and hold the handle without getting burned. It has a magnetized induction stove safe base for rapid heat transfer if you have a ceramic stove top (the flat ones). 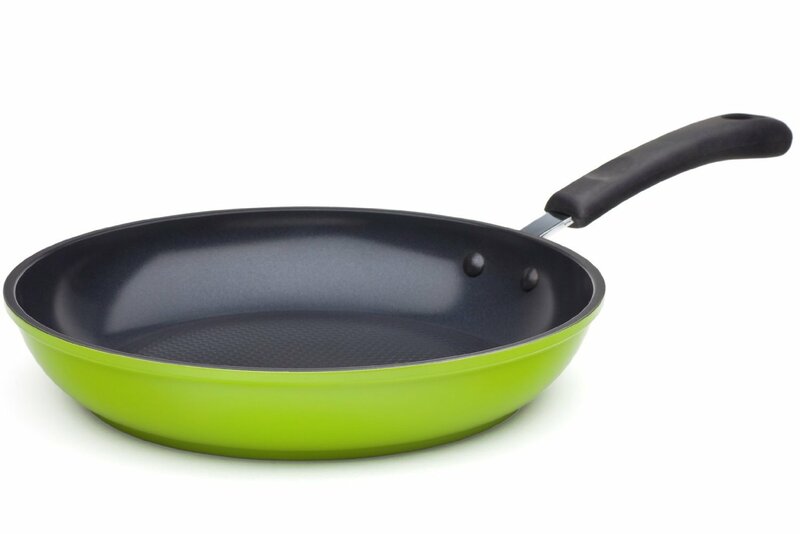 The inside of the pan has a textured surface that not only makes really cool marks on the food you are cooking (like pancakes or grilled cheese), but it also allows it to deliver enhanced heat distribution and superior non-stick performance without ever releasing harmful fumes or toxins. The scoop? It is nice and easy to cook with and to clean. It comes with a little flannel type pad so that you can stack it with your other pots and pans and it won't scratch. Mom's of newborns are the busiest and most sleep deprived species on this planet. So many things to do, but baby needs attention. This Mamaway ring sling baby carrier comes to the rescue! Think of it as being similar to the hands free feature on your cell phone. You can still carry on conversations without having to use your hands! Your hands are free to do other things, like the never ending pile of laundry, or other household chores.... or, since we should have daddy do all those household chores, your hands are now free to go shopping!! 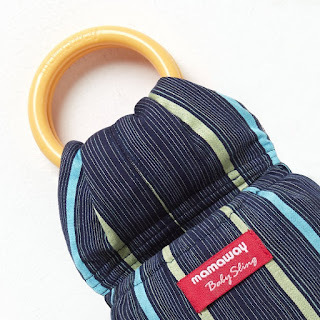 Your baby is happy because he or she is able to snuggle up to you.... and now you can be FREE! This is awesome... so many friends of mine rave about how baby wearing is the best thing in the world. 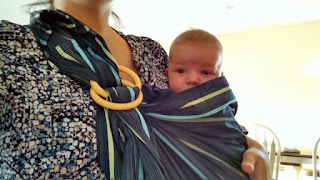 And so Mamaway has this ring sling carrier that has a lot of neat features to provide comfort to mama and baby. This thing that makes this special is that it lasts from the time your baby is a newborn until they no longer wish to be carried. (Well, when they graduate high school that may be a bit too big!). 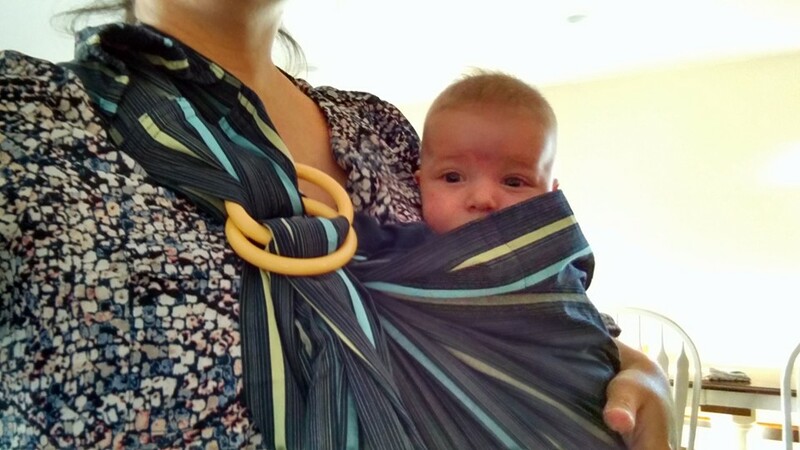 This is the perfect sling for getting things done while you are out and about, it also is calming to babies and is easy to breastfeed discreetly. (I don't believe you need to be discreet when breastfeeding - I believe you do whatever your baby feels most comfortable with). It is a one size fits all, and can be adjusted to fit different body sizes and positions, in mere seconds. What's more, is that it is easy on your back. Your baby's weight is evenly distributed along your back and shoulders to comfortably carry your baby or toddler for hours on end. It is 100% cotton and machine washable. Hang to dry. I really enjoy having nice quality items in my kitchen. 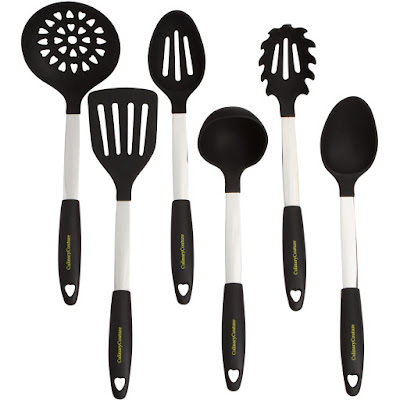 And I just got this 6-piece kitchen utensil set from Culinary Couture. It is heavy. It weighs a lot because it is solid! These pieces aren't just cheapo plastic that you can get from the dollar store. This culinary couture set is very heavy duty, high quality. It would make a GREAT housewarming gift, or wedding gift. It has a price tag of $35.99 but you get what you pay for. It probably isn't the best to give to an 18-year old college student living in the dorms, or even on campus apartments, but for a newlywed couple it would be great. Many many years of use you can get out of these things. They are made from 304 grade stainless steel. They have been designed to last longer than generic ones, and give you the best value for your money. They have an ergonomic handle for best functionality. The heat resistant silicone handles make using them safe and easy. 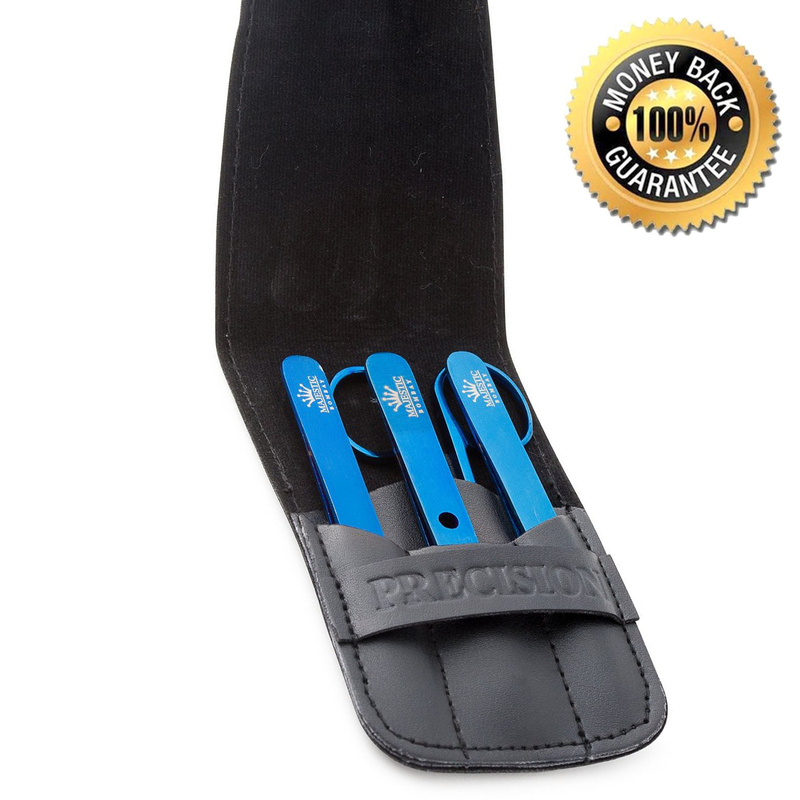 The silicone will protect you from heat displacement if you leave the utensil in the pot while cooking. And, they won't scratch or damage your pots and pans. Yes, you know you want them! I can NEVER find a good pair of tweezers in my house when I need them. And with my husband doing woodworking and making furniture as a hobby, he is always asking me for some because of splinters. 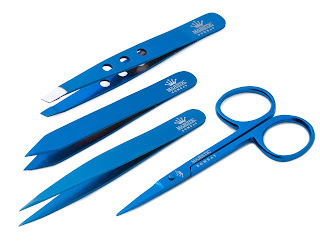 This high quality tweezer set comes with four "tweezers". A flat one, a slanted one, a pointy one and a pair of nail scissors. It comes with a carrying case to store them, and this set that I received will always be the place to keep them. I will not allow them to be removed and used elsewhere! I will be that kind of person and make sure they don't get lost. We also used them a lot of times to remove ticks from our pets, when we lived in Central America. During dry season the ticks are so horrible. Even walking on the roads my dog would get 10-20 ticks EACH TIME. He knew that after each walk I had to "pick the bugs" off him. It was horrible. So tweezers are something we use all the time. We can use these for plucking eyebrows and stray hairs. I can use it to pluck the hairs on my husband's back, and like I mentioned, his splinters! You need really sharp ones for splinters and these are super sharp. I am not sure what to use the scissors for, maybe hang nails? I currently just use a nail clipper for them, but I will have to try the scissors out for them and see if it works. I make a lot of makeup and personal care items. And I really enjoy having little makeup containers to put them in. If you make lotions, makeup or other items, these would be awesome and perfect for you to fill up and hand out as samples, to lure customers to your product! They come in a case of 50 and they are tiny -- maybe half the size of a Burt's Bee's lip balm container that you are used to. They are acrylic and have a screw on lid that screws on tightly. You could even put thinner consistency lotions in here (or eye cream, or even toothpaste) for when you are traveling, or to keep as safety stock in your purse when you go out, and the lid will screw on tight and won't leak. They are just a little over 1 inch in diameter and 0.64 inches high when the lid is on. The capacity in the little jar is 5 grams. 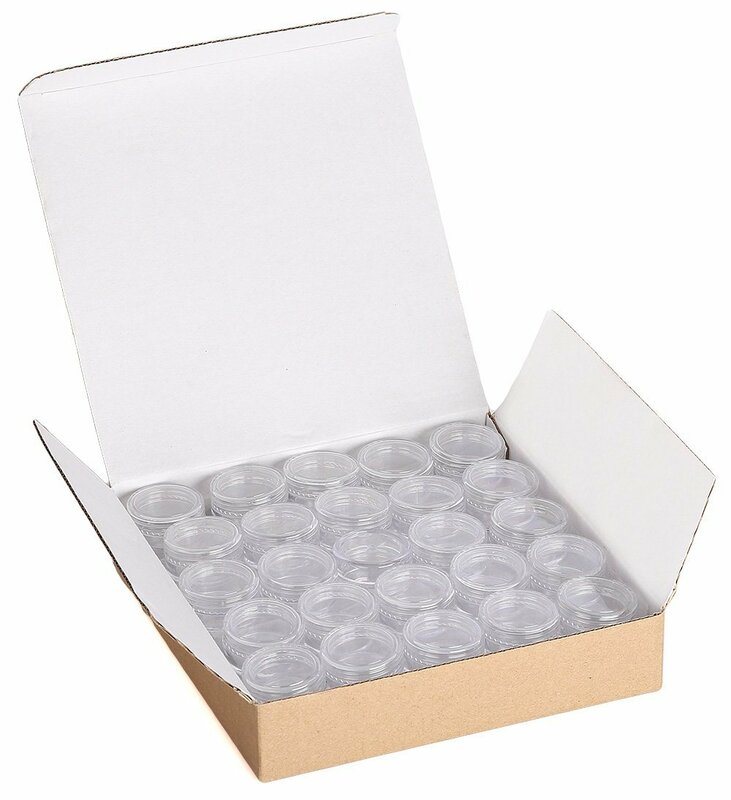 They are perfect for sampling like I mentioned, or storing eye shadows, makeup, creams and other cosmetics. Especially good for mineral powder makeup. Since they screw together easily, you also can store acrylic powder, liquids, nail designs and more nail art related items if you do nails. There are so many uses and you will be pleased to have this, for an affordable price, for lots of things! My husband is the life of the party, and he really loves to make mixed drinks for everyone. He is your typical friendly "bartender" and loves to impress people. From martinis to margaritas, he is always in the kitchen mixing things up. 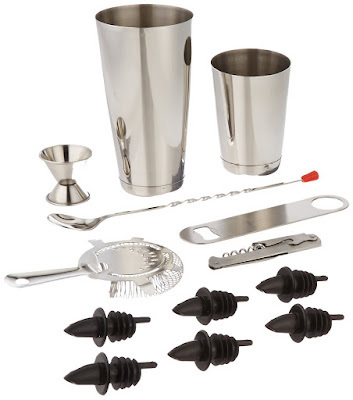 So this professional bartender tool set made him happy! It comes with a ton of really cool tools and it is very high quality. He really likes it. This set includes tools to make martinis, margaritas or daquiris. It has everything in one handy kit. 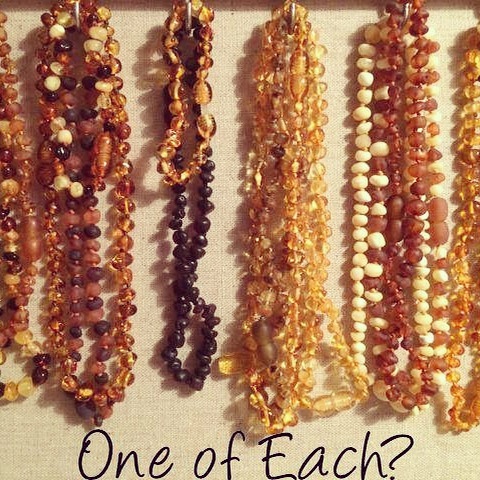 Baltic Amber Necklace For Teething Relief and More! I LOVE Baltic amber. It has a lot of great healing properties. I found a great company that offers not only a gazillion types of baltic amber necklaces and bracelets and anklets, for adults, children and babies, they also offer hazelwood, which is one of my newest favorite things. Hazelwood is known to help with decreasing the body's acidity, and working especially well with those who have acid reflux, heartburn, or GERD. It also works for babies who have GERD as well! 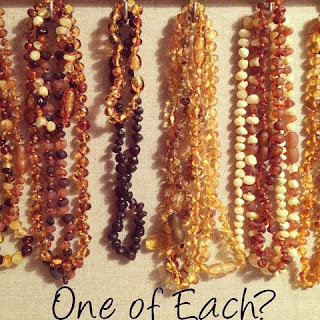 Baltic amber is most known for its remarkable effects on soothing teething babies. My 10 week old nephew is already breaking his first tooth, poor kiddo, and so I sent one to my sister to use. While some folks worry about putting a necklace on an infant, I have friends whose kids have worn them constantly since they were born, and I have another sister whose daughter has worn hers for over 2 years now (she is 2 1/2). 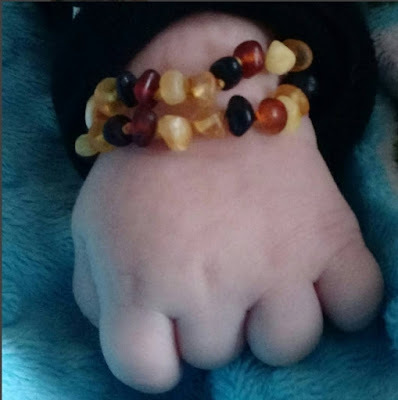 I think if there is any worry, then use them on the feet as anklets, or on the wrists as bracelets, like my sister is doing (as you can see in the picture above of my chubby 10 week old nephew). I am in quite a few mommy groups that are holistic. I don't have any children myself, unfortunately, but I am included in these groups because of my passion for natural and holistic solutions for things in life. And I learn a lot about all the wonderful things discussed in natural motherhood, one of them being baltic amber and how necessary it is for these poor babies as they are teething or fussy. There are so many styles and lengths to choose from. Baltic amber is also good for adults. White the baby necklace is approximately 12.5 inches, the adult necklace can be 18" or 20". The results that can be seen for adults include helping with physical pain like back or neck pain, sciatica, arthritis, carpal tunnel syndrome, migraines and headaches, inflammation and more. They are completely safe during pregnancy. You put the necklace against your baby's skin, as a necklace or bracelet or anklet, and as the necklace warms naturally, it will release succinate acid that provides an anti-inflammatory effect for teething pain, red cheeks, drooling, fussiness, colds, molars, growing pains and more! I love essential oils. And I really was impressed with this essential oil kit that was less than $25 for some amazing therapeutic grade essential oils! 6 bottles for less than $25! This is a great opportunity to start with essential oils if you haven't before. You get 6 of the most popular essential oils (and the most used!) in this kit, plus 6 diffuser reeds! They come in 10 ml bottles instead of the smaller 5 ml bottles that you see a lot of places, so you get more oil. 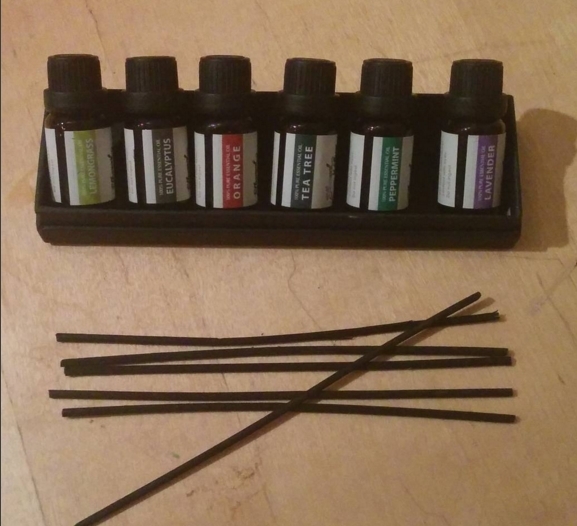 My favorite blend is lavender and lemongrass. I am not a huge fan of lavender by itself but the combination is awesome. I make my own face cream and body butter and those two oils are so good for your skin (add some tea tree if you have problems with acne). If you are having yeast infections, using some coconut oil and tea tree oil mixed together and rubbed on topically should help you. If you are getting over a cold, then using coconut oil and eucalyptus rubbed onto your chest is a good things. However please avoid eucalyptus around babies! I make my own toothpaste with bentonite clay and sea salt and stevia.... I flavor it with peppermint essential oil. And if you need a pick me up, any citrus oil will work, but orange is especially good at energizing you and making you feel uplifted. Sometimes all it takes is just to open the lid and sniff! This kit makes an AWESOME gift for Christmas or whenever! 100% Pure Essential Oils – the name on each bottle is the name of the one and only essential oil each bottle contains. At Ethereal Wellness our mission is to promote a wholesome yet luxurious experience for you using natural products. Our oils aim to provide you with a divine, aromatic sensory experience! We love our customers and provide nothing less than premium quality products for the best prices. Guaranteed 2 year shelf life! 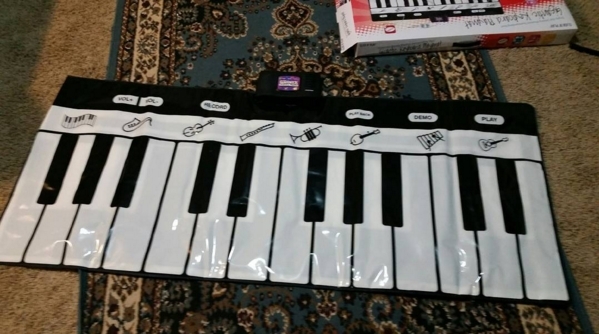 This kids' jumbo sized keyboard mat works well and has 8 different instrument sounds to choose from. It has almost 2 full octaves, low F to high E and multiple notes (at least four) can be played at a time (for a chord if you can do it). You can record yourself playing and play it back. Although, it's lost once you turn it off. There is no memory storage in it. But it is fun to play with for the kids! And they can get some of that wild and crazy energy out of them as they jump from key to key, playing notes. Be aware that this is a toy and even though you can adjust the volume you can't tune it. The "A" sounds like a G# so the pitches are all off by half step. All in all, the kids enjoyed playing with it! It is almost 6 feet across and has 8 different built-in instruments that include guitar, saxophone, violin and more. 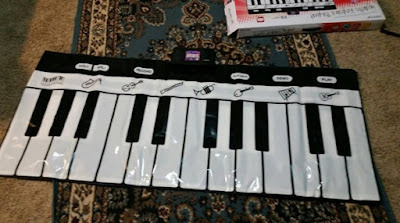 You can build a song, or just step to tap the keys and improvise music. 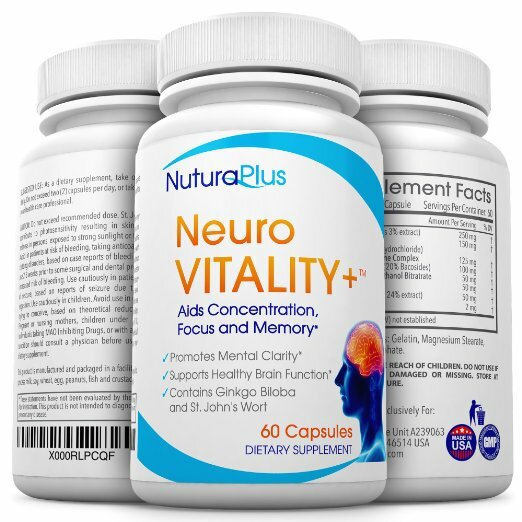 This neuro vitality formula can help you focus more, have a clear mind, and better concentration. This would be great for college students, folks who are in a high level position at work that is full of stress and anxiety, and for those who are worried about brain function. The ingredients are great. It has a lot of good things in it, including L-glutamine (for gut health -- all disease begins in the gut, right?) and ginkgo biloba for mental clarity, St. John's Wort (for uplifting mood and anti-depressant -- it also can be used to help the nervous system). The really cool ingredient is phosphatidylserine which adrenal fatigue sufferers know very well as it LOWERS high, damaging cortisol levels by up to 70%. 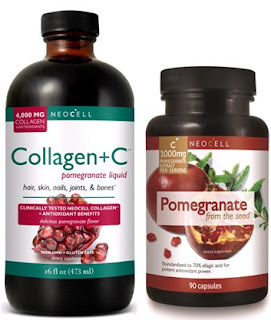 There is not THAT much in this supplement, but enough to make a difference if you are extra stressed out.. For those with high cortisol levels suffering from adrenal fatigue, you will want to take a stand alone supplement. Stop The Thyroid Madness article has more information on it here. I know a lot about it because I take it every night to help lower my cortisol so I can sleep better. As mentioned, it should help with mental clarity, focus, memory and as a mood booster. It can help reduce anxiety and stress levels as well. It is a brain booster helping you feel more alert and focused on learning. 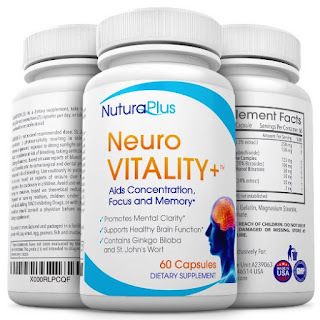 The manufacturer, NuturaPlus, offers a 100% money back guarantee. I am huge on safety and preparedness. I figure that if I am prepared, two things can happen -- 1) nothing, which is good; or 2) something, which I will be prepared for. Either way, I will be able to handle it. That is the whole purpose of preparedness -- hoping for the best but being ready for the worst. I take this to heart and even make sure I am prepared as I am driving about town or on trips. I have coast guard rations in my vehicle, along with a water bottle, and jumper cables, and emergency roadside kit, and now I have an automobile first aid kit. 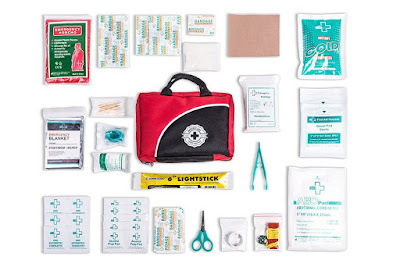 This automobile first aid kit includes a lot of items that you *might* need if you get in an accident and are far away from help (like if you are camping or hiking). There are tons of items included in this kit, as you can see from the picture. Bandages, sterilized gauze pads, ace wraps, instant ice pack, tweezers, poncho, an emergency mylar blanket, light stick, scissors, CPR kit, a whistle, a compass, alcohol wipes, and so on. It is lightweight and easy to carry, it is small (about 6 x 8 inches max) and can easily fit in a backpack for hiking, or in your camping tote. It also fits in your glove compartment easily as well. It comes in a zippered nylon bag with clear pockets that easily identify the items inside. All the items in it are what people use the most. All these supplies -- over 70 items -- basic first aid and more. 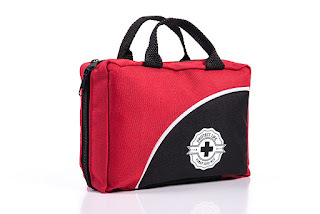 It is the perfect combination of medical first aid supplies and emergency preparedness items. I have liver issues. I have no clue why :( But it is causing me a lot of issues beyond my liver aching and occasionally my gallbladder causing a fit. My liver enzymes are high, and on all the urinalysis testing that I do, my bilirubin is high. I just got another test done and am waiting on the results, and then will consult with my doctor on what the next steps are. When your liver is unhealthy, it cannot process hormones correctly, so your endocrine system is all messed up. I already have adrenal insufficiency so this is a concern for me. That is why I am trying this product. 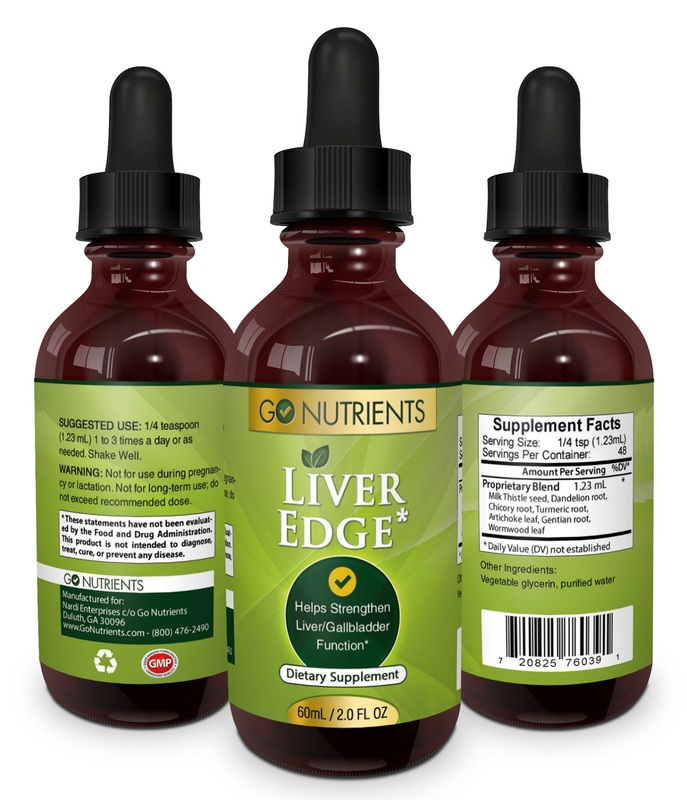 This Liver Edge tincture is a liquid herbal extract that contains milk thistle, along with other proven healthy herbs that are known to help build and strengthen your liver. It contains 7 botanical detoxifiers that gently but efficiently flush out bad substances. The main ingredients that are well known to help with the liver are milk thistle (silymarin) and dandelion. It is made alcohol free and can be taken straight into your mouth, which is really nice and saves time. Since it is in liquid format, it is easier to take than pills, yet is still just as potent. They claim it is 100% safe with no side effects. I don't think anything is 100% safe, but nonetheless, for most everyone it is going to be fine to take. It is gentle enough to use daily even if you have a weak liver. It is alcohol free, sugar free, dairy free, nut free, wheat free, gluten free and vegan. It is made in the USA and in an FDA registered GMP facility. I am hoping that it will support my liver's ability to burn fat and increase my metabolic process, which is where I am having a lot of difficulties. I have high hopes for this!